We've been awarded "Bride's Choice Award 2009!" 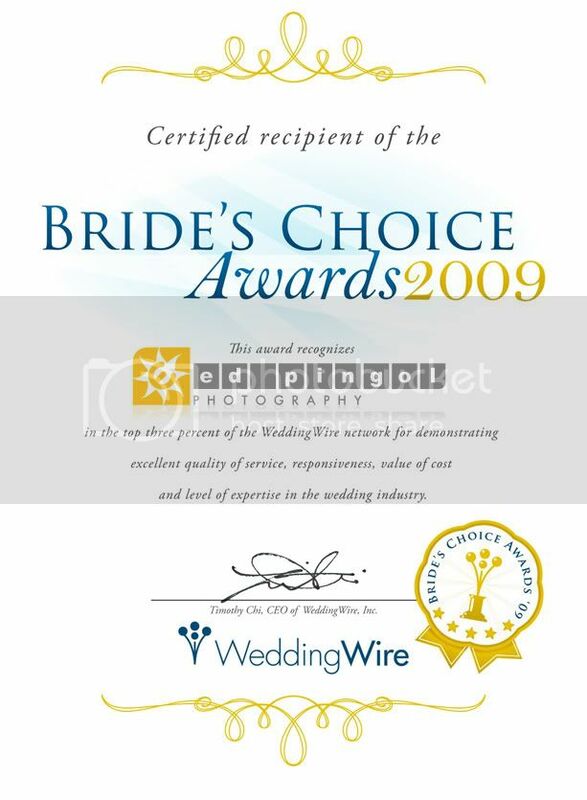 We're ecstatic to be chosen as a recipient of the 2009 Bride's Choice Award by WeddingWire. WeddingWire is a website dedicated to helping engaged couples research local wedding vendors with reviews from actual brides and other vendors and is a fabulous resource for wedding planning! We're so thrilled to have been given this prestigious award, which honors the top 3% of the WeddingWire's network. Thanks to all of you who have submitted your reviews on the website!